In a previous blog post we discussed the idea of making your request for an online review appropriate. With segmentation, the process is taken a step further. 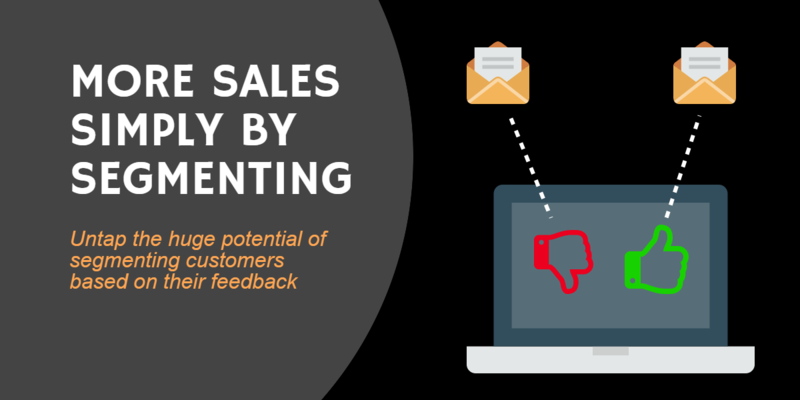 If your customer feedback isn’t segmented in any way, then it can have at least two negative effects: Firstly, anyone reading a review of your business can’t tell whether they are looking at something that is relevant to their needs. Secondly, it means you will find it harder to respond to any review you receive appropriately. Let’s look at an example of how reviews that aren’t segmented can have a negative impact – Reviews of a travel agent that aren’t segmented might bundle in the experiences of business travellers alongside family holidaymakers. Both groups probably have different expectations of the service they looking for. If a family is looking up a review of your services because they are thinking of booking a week away in the sun, then they really don’t need to look at a long list of reviews of business class flights to city destinations. Likewise, an unsegmented set of reviews will mean that business and first class travellers are exposed to the opinions of people who are operating from the perspective of a very different price point. Thankfully in many cases online review sites now let users only see reviews that are relevant to their needs, by using filters. But segmenting gets really powerful when you start doing the segmentation yourself – creating customer lists based on factors like whether they had a positive or negative experience with your company, marketing (or not) to these groups, and looking for patterns in the negative reviews you receive. If a business asks all of its customers for online reviews before it takes the time to segment them based on experience, then they will inevitably run the risk of increasing the proportion of negative reviews it receives. You can see the sort of problems that might occur as you begin to solicit a greater number of reviews by looking at your competitors reviews. Examine the age, education level and other preferences of your competitors’ reviewers and look for any trends you can identify with the type of person that is most likely to be negative when reviewing. Once you have done so, you can be all the more careful in your approach with the same segment of your customers. By correctly identifying the more problematic segments among your client group – not problematic customer exactly – you are better positioned to either improve your service offering in the first place or to mitigate the sort sort of negative reviews you might receive. For example, it may lead you to more carefully nuance the questions you ask when seeking feedback so that more positive, or at least less negative, customer comments are made. According to the Harvard Business Review, the case study of the globally known Gilead Sciences offers an excellent insight into the failure to understand the experiences and expectations of a segment of a client group. Crucially, this study demonstrates that basic dissatisfaction with a business can lead to a much wider failure to reach out to the affected segment. Gilead, a bioscience company, discovered its problem following the development of a new drug therapy. Upon releasing it, they were pleased that sales to new patients needing a therapy of this type were good. However, despite the medication offering certain advantages over existing ones, the marketing team also noticed that sales to patients who were already undergoing treatment were nowhere near as strong. Gilead sought consumer feedback reviews and discovered that among patients for whom the therapy was developed there was a level of trust that was needed that they had not accounted for. Among their chosen segment, switching medications turned out to be a very different process from opting for an alternative cold remedy, for example. When dealing with a more serious condition, the company’s marketing team learned through segmentation that its target patients – those with HIV/AIDS – were much more focussed on the potential side effects of any new therapy rather than the potential benefits it would bring. As a result of this sort of segmented market research, Gilead redirected its marketing message to place a heavier emphasis on the new drug’s lower levels of serious adverse effects, as had been established during field trials. Furthermore, the business also chose to segment the patients’ doctors according to their their willingness to prescribe new medications compared with established ones. Following this exercise, the marketing team basically made it psychologically easier for patients to switch from their existing therapy to the new one and for medical professionals to recommend doing so. As a result, the market share of the business’ principal competitor dropped by around a third. 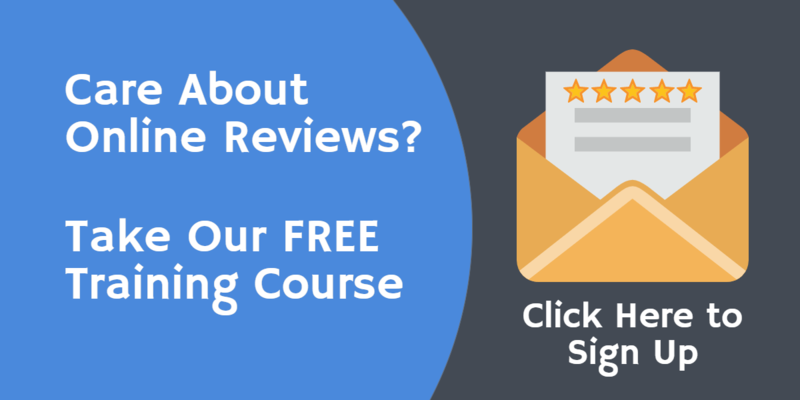 If you’d like to know more about segmenting your customers based on their feedback why not take a look at our free customer feedback training course; 5 step sto 5 stars.